(Swamp Milkweed) The light green of this Milkweed's slender, lance-shaped leaves compliment its rose-pink umbels of tiny, star-shaped flowers that smell like vanilla. As its common name implies, this plant is a great solution for saturated soils, such as in rain gardens and the edge of ponds. Yet it can get by on average watering based on local conditions. This butterfly magnet tolerates heat and cold. Plant it as part of a tall perennial border in a sunny location. It forms upright clumps reaching up to 48 inches tall when in bloom and spreading 36 inches wide. 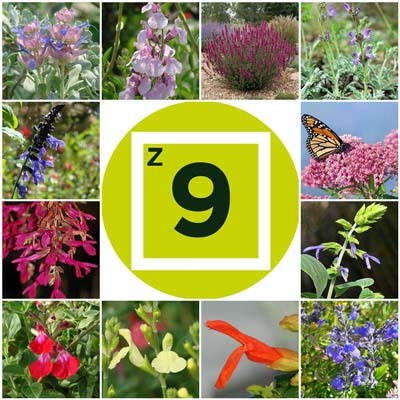 Although slow to emerge in spring, it is a reliable perennial in USDA Zones 3 to 9. Planting bulb flowers in the same area can help to mark its location. The Milkweed genus (Asclepias spp.) is native to America and particularly important to the endangered Monarch butterfly. Monarchs will only lay their eggs on Milkweeds. The roughness of the species’ fuzzy foliage makes it easy for eggs and chrysalises to connect. Monarch caterpillars consume powerful chemicals in the leaves which protect them as babies and adults against predators for whom the chemicals are toxic. 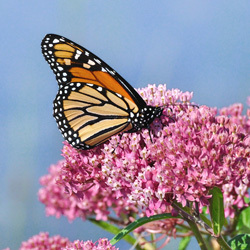 In spring 2013, The New York Times reported a precipitous decline in the Monarch butterfly migration due to causes including North America’s rapidly decreasing supply of Milkweed growing wild in agricultural fields. 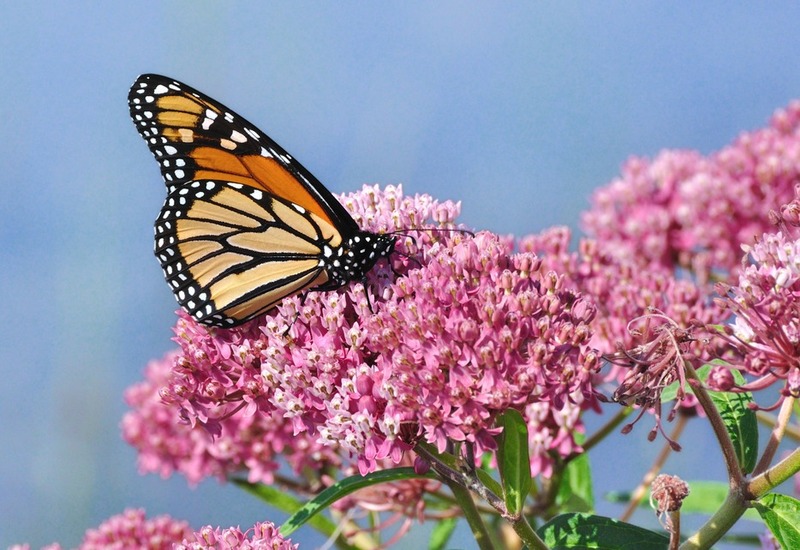 According to The Times , the increasing use of seed genetically modified to withstand herbicides has eliminated at least 120 million acres of Monarch habitat. Backyard gardeners can help butterflies, including Monarchs, by planting nectar and host plants. Similar to predators, deer avoid it. Photo Courtesy Missouri Botanical Garden PlantFinder - Thank you! Plant received in great condition. Looking forward to viewing monarch butterflies flitting about when the plant is mature!